Skiers travelling by train to the French town of Grenoble will be able to book a flat-fare Uber transfer to one of six popular ski resorts this February half-term. From February 9 until March 10, UberSki will be available on the Uber app, providing rides from Grenoble train station to l’Alpe d’Huez, Les Deux Alpes, Chamrousse, Les Sept Laux, Villard-de-Lans and L’Alpe du Grand Serre. Uber enters the French ski market, offering rides to six resorts. Fares cost from €45 to €90 one-way, depending on the destination, which is pretty competitive with both mini-bus and coach transfers from the station. Rides can be booked on arrival in Grenoble, in English, using the app. The launch of UberSki follows the launch of UberBOAT in Croatia and UberCOPTER for helicopter rides across the Cote d’Azur. Uber said only drivers whose cars were equipped to cope with the snowy mountain roads would be allowed to operate UberSki trips. Uberski has been already operating in America, in the following resorts: Flagstaff, AZ; Lake Tahoe, CA and Nevada; Aspen, Breckenridge, Colorado Springs, Fort Collins, Steamboat and Vail in CO; Santa Fe and Taos in NM and Park City in Utah. The-Ski-Guru TRAVEL can organise your bespoke ski trip to the Americas, Alps or Japan, including for those going from Britain to Europe, booking your Eurotunnel trip, and for all trips: lodging, lift tickets, rentals, ski school, and all you need for an excellent vacation. Go to https://www.the-ski-guru.com/travel and upload your information – this page will be updated soon with more travel ideas. Check our February offer for Zermatt staying at the Chalet Zen or Penthouse Zen, our amazing Ski Safari in the Dolomites , stay at the San Lorenzo Lodge White Deer in the Val Pusteria of Sudtirol, in the Hotel Petrus in Riscone, for skiing Kronplatz, or check our Easter offer to Obergurgl-Hochgurgl and Sölden to ski with your family. Or you can read our last news on equipment as seen at the London Ski Show. Also, the new range of skis of Black Crows, one of our favourite brands. Shred-Dog is a definitely favourite brand for parents of growing kids. And check the new Mohawk helmet with augmented reality. We have already covered many news due to this latest spat of snow storms in Europe, as the hotel that was hit by an avalanche of 300 meters of width in Eastern Switzerland. In the same place, a couple days later, a second avalanche affected the structure of the Säntis Suspension Railway. And two ski patrollers got killed setting avalanche control charges in the French resort of Morillon in the Grand Massif. Also two workers died in Jammu in the Gulmarg in India, when they’ve fallen from a cable car during a mock rescue drill. You can also read what’s new at Les Trois Vallées and the last article on what is new at the Tirol ski areas, in Les 2 Alpes, in Cervinia, in La Plagne, in 3 Zinnen Dolomites , in Adelboden, Lenk and Kandertal, in Gstaad, in Chamonix, in Georgia’s Gudauri Resort and in the Skicircus Saalbach Hinterglemm Leogang Fieberbrunn. And how the US Ski Team has chosen Alpe Cimbra to train for the following four ski seasons as their European home. Here is the link to our post on the My Voucher Codes ranking of best European Ski Resorts. Uber enters the French ski market, offering rides to six resorts. Photo: Oliur. Unsplash. Also, you can read how Grandvalira will be staying together as one lift ticket company and how they are adding Ordino Arcalis to this offer. Grandvalira is opening now all of its six sectors. And also read how someone tried to sabotage some lifts in Vallnord’s Pal Arinsal. And as if it is starting to be a trend, there were two lifts sabotaged in Passo Rolle, in Val di Fiemme, Trentino. Fortunately they were repaired in record time to open to the public. It seems also that the deadly fire in a Courchevel employee housing building was arson. Also, Mt Hood Meadows was forced to evacuate one lift with 150 skiers and boarders due to a power failure. And the same was the case in a lift with 140 skiers/boarders in Whitefish, Montana. A last one to report was now in Stowe, VT, with more than 150 stuck skiers and boarders that have to wait up to two and a half hours to offload. Recently a British skier was killed after suffering a cardiac arrest on a chairlift falling 32 feet to the ground in Méribel resort in Les Trois Vallées. You can see our recent article on how avalanches claimed two lives in Switzerland the past week. And read more what is the real risk of avalanches. Three Germans have been killed by an avalanche near Lech and a fourth is missing. Two were caught in an inbounds avalanche near Kachina Peak in Taos and taken to hospital. 7 were killed as a helicopter and a light aircraft crashed over the Ruitor Glacier near la Thuile in the Italian Alps. 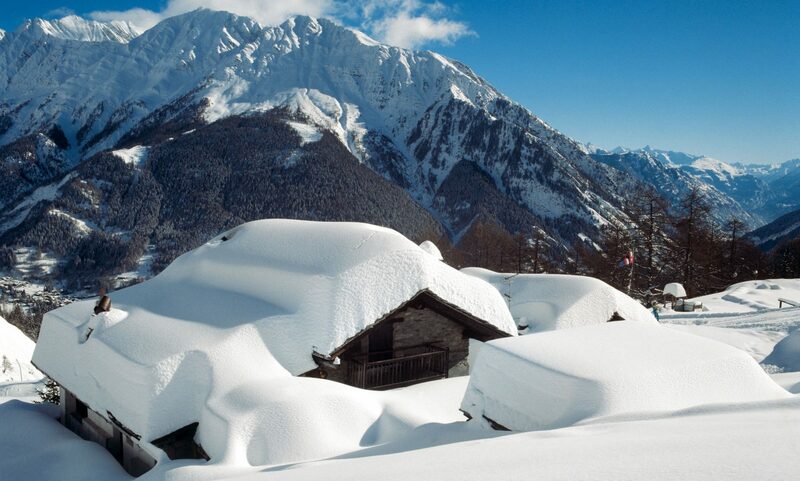 Two were killed by an avalanche in St Christoph-en-Oisans in the French Alps. You can keep up to date on how are the sales for the EPIC and IKON passes are doing here. Read how Emma, the first Digital Mountain Assistant, is launched in Keystone now and will be rolled to eight other resorts this season. Breckenridge and Keystone are one of the resorts with the longest ski season in the United States. And even read about the new incorporation to the IKON Pass: Valle Nevado. Here is also a post on the South American resorts. Also, Rob Katz and his wife Elana Amsterdam donated 2 million USD in grants to support mental and behavioural health programs in ski towns of North America. And see how Aspen Skiing Company released its sustainability report 2018. And also check Aspen’s Give a Flakecampaign. The Audi Power of Four Mountaineering Race is coming back to Aspen. And the ’12 hours Head NonStop’ is going back to Sierra Nevada. And here is a summary of a report by LISTEX on the State of the UK Snowsports Market. The US had it first National Learn to Ski and Snowboard Day with 6,200 lessons given. Or check out how now with the EPIC Pass you can ski in Europe, specifically in Les Trois Vallées and the resorts of Skirama Dolomiti in Trentino’s Italy. Or see our review of L’Héliopic Hotel Sweet & Spa if thinking in staying in Chamonix this winter. Or check out the new Snowpine Lodge in Alta, Utah opening late January 2019. And for those that thought that skiing in Whistler was only for the rich and famous, now the new Pangea Pod Hotel offers them a chance to stay in the cheap in the new cool hotel in the middle of Whistler Village. Those going this season to Avoriaz and wanting to be by the slopes, can stay in the pop-up Flying Nest hotel. Featured Image: Uber enters the French ski market, offering rides to six resorts. Photo: Adrian. Unsplash. Previous PostPrevious Review of Hotel Petrus in Kronplatz.